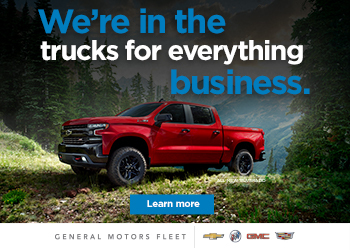 Ford Motor Company chose its home town of Detroit, Michigan to introduce the next level of Built Ford Tough heavy-duty pickup truck capability, power and technology with the new 2020 F-Series Super Duty pickup. The New F-Series Super Duty improvements include new gas and diesel engines, an all-new 10 speed automatic transmission, chassis upgrades, exterior and interior design updates and advanced technologies for better towing, payload and connectivity. The 2020 Super Duty stands out from its predecessors with an improved front bumper and air dam optimize cooling to make using utility hooks easier. All-new LED headlamps, freshened tailgate design, revised taillamps and new rear bumper convey bolder Built Ford Tough style. 2020 Ford Dually’s are fitted with a uniquely designed high-airflow grille optimized for maximum powertrain cooling. Ford has made significant upgrades to the new Super Duty, both inside and out. The largest V8 Gas Displacement engine available in its class, the all-new Ford-designed and Ford-built 7.3-litre V8 joins the standards 6.2-litre V8 in Super Duty’s gas engine stable. The third generation 6.7-litre Power Stroke diesel V8 has also been upgraded. Both engines are paired with 10-speed heavy0duty automatic transmission. The 7.3 litre gas V8 uses an all-new cam-in-block, overhead valve architecture with cast iron block and forged steel crankshaft for maximum durability. Port injection with variable- valve timing optimizes the intake and exhaust to match performance with workloads. Oil jets cool the pistons under heavy loads. Along with structural enhancements and redesigned turbocharger, Super Duty’s third-generation 6.7-litre Power Stroke includes a new 36,000-psi fuel injection system with all-new injectors that precisely meter and spray up to eight times per stroke to control noise levels and optimize combustion. Ford is making its all-new 10-speed TorqShift® automatic transmission available across all three Super Duty engine offerings for 2020. This TorqShift features a wider gear ratio span than the 6- speed and is designed for the harshest towing conditions. The heavy-duty transmission continues to offer live drive power takeoff, which allows the operator to engage industrial equipment and accessories, such as snowplows, with the truck in motion. The 2020 Super Duty offers a class –exclusive Pro Trailer Backup Assist system. The truck’s Trailer Reverse Guidance system shows trailer angle and direction, and provides steering suggestions to most efficiently direct a trailer backward. Both systems are built to accommodate all trailer styles, including fifth-wheel and gooseneck trailers. 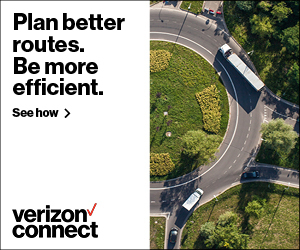 Focused on connectivity, every new Super Duty includes FordPass Connect embedded 4G LTE modern with Wi-Fi access for up to 10 devices. Other technologies include available Lane Keeping Assist, Blind Spot Detection and Pre-collision Assist with automatic emergency braking. These features are standard on XLT and above Super Duty models. Assembled in the United States, Ford’s F-Series Super Duty will be built at both Kentucky Truck Plant and Ohio Assembly Plant. Ford’s new 2020 F-Series Super Duty will start shipping to dealers this fall. The 7.3-litre gas V8 engine delivers high performance in a compact package. All dual-rear-wheel Super Duty trucks are fitted with a uniquely designed high-airflow grille optimized for maximum powertrain cooling.